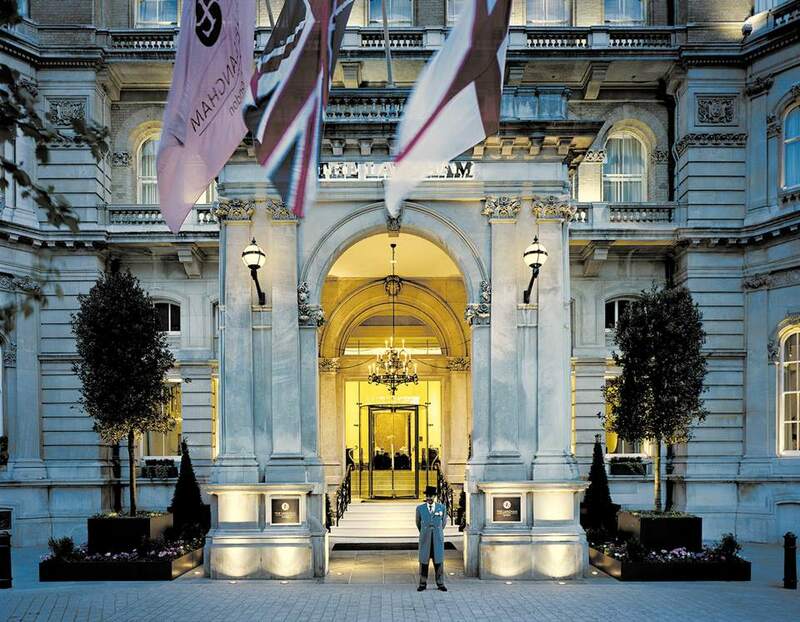 The Langham, London is an elegant Victorian hotel with 380 rooms and suites. It offers a quintessential London hotel experience for visitors who wish to enjoy British tradition and culture. The Langham, London opened in 1865 and is considered Europe's first grand hotel. It reopened in 2009 after a three hundred million pound refurbishment. Celebrities who have been drawn to The Langham, London over the years include Oscar Wilde, Antonin Dvorak, Winston Churchill, Noel Coward, and Diana, Princess of Wales. The hotel is the flagship of Langham Hotels International, headquartered in Hong Kong. Visitors arrive at The Langham, London amidst British fanfare. At night, the façade of The Langham, London is festively and alluringly lit. Any time, the most flavorful way to arrive is in a traditional London cab, Taxis enter a circular porte-cochere once used to greet horse-drawn coaches. The uniformed footmen are still there for you. Is The Langham, London the Right Hotel for Your Next London Vacation? Will The Langham, London Be in Sync with Your Travel Style? The 380 rooms at The Langham, London blend classic proportions and architectural details with contemporary furnishings. It's a very appealing style. Rooms range from trim, comfortable Classic rooms to a variety of suites. The biggest is the nearly 5,000-square-foot Sterling Suite, shown above. It has two bedrooms, a library, and more. High tea is a beloved English tradition now. But this splendid tradition was established right here at The Langham, London in the years after the hotel opened in 1865. The Langham, London's high tea was first hosted by a lady-in-waiting to Queen Victoria, Anna Maria, Seventh Duchess of Bedford, as a novel form of late-afternoon entertainment and social life for her "aristo" set. The hotel was the first commercial establishment to serve this refined pre-dinner meal. The food served at this lovely tea service is creative and delicious, with an emphasis on modern desserts. Amongst Executive Pastry Chef Cherish Finden's creations is a chocolate cake with flavors of espresso and amaretto; a chocolate-and-yuzu confection; and marzipan macaron sin strawberry and lemon. All are served on a harmonious Wedgwood plates. The hotel's upscale restaurant, Roux at the Landau, is run by Michel Roux, the London celebrity chef. He achieved three Michelin stars at Michael’s Waterside Inn, the famous restaurant located on the Thames. Roux at the Landau is an excellent bet for dinner. The restaurant is also a draw for its international breakfasts: English, Continental, Japanese, and Lebanese. The hotel's Artesian Bar at The Langham, London (seen above) is a draw for Langham guests and Londoners alike. It offers seductive atmosphere and hand-crafted cocktails made with classic technique and modern ingredients. • The 24-hour Fitness Center, with state-of-the-art TechnoGym equipment (cardio and circuit-training machines) and roving personal. As is common in the travel industry, the Guest Author was provided with a complimentary visit and High Tea for the purpose of describing the hotel.